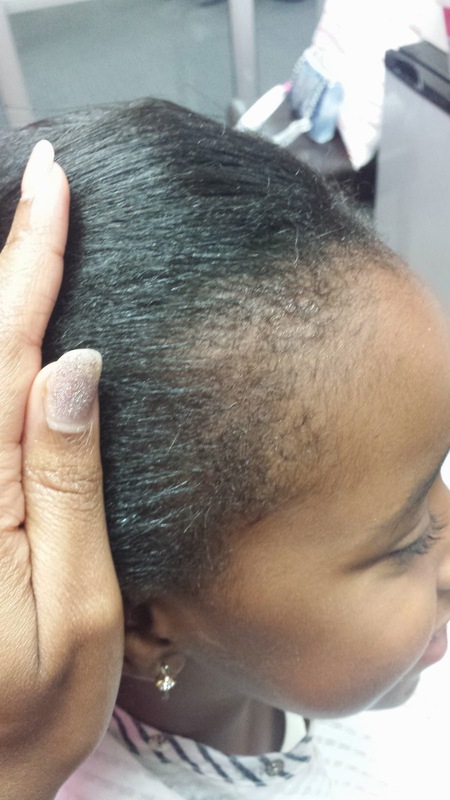 Edge Stick Review- How To Get Your Edges Straight Without Edge Control! The image you see above is my newest toy! If you have never seen this device before it is called an EdgeStick. It is intended for women who wear weave to help blend the leave out but I have also been using it on my natural clients who get silk presses. They always tell me the edges are the first to revert back to curly so I now use this on their edges and my, my, my it has been a blessing to me and my clients! Take a look at the client below. 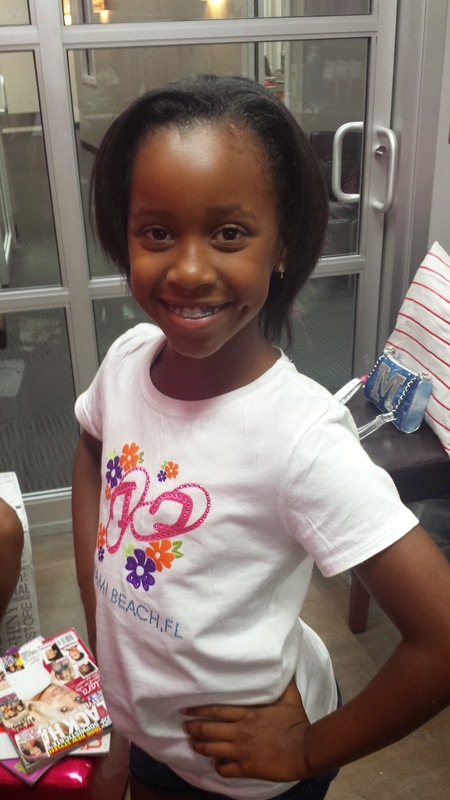 She is a nine-year-old who is VERY active and is in all kinds of activities including dancing, gymnastics, and golf, not to mention she also loves to swim and get that hair soaked! 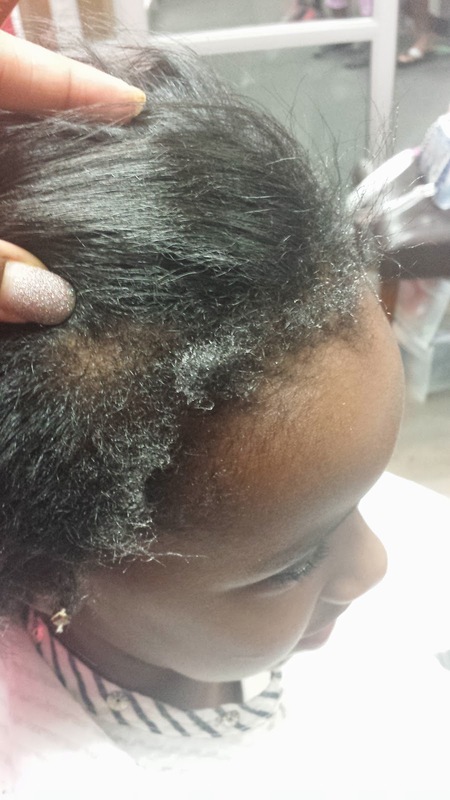 She is natural so when she gets her hair silk pressed, the edges are the first thing to revert back. 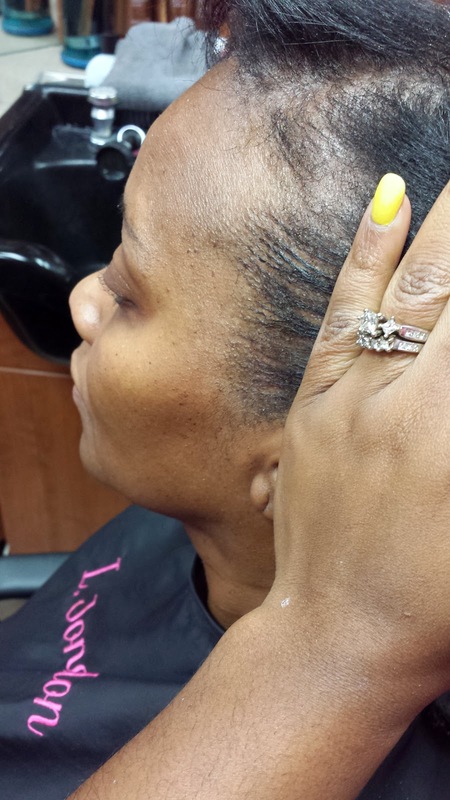 Speaking of her edges they were damaged severely when she was getting relaxers (with another hairstylist, not me!) so now we are in the process of growing them back. They are not as long as the rest of her hair so it is harder to blow dry and make straight. I would normally just have to try to get close with the flat iron and then rely on edge control to make them lay down. 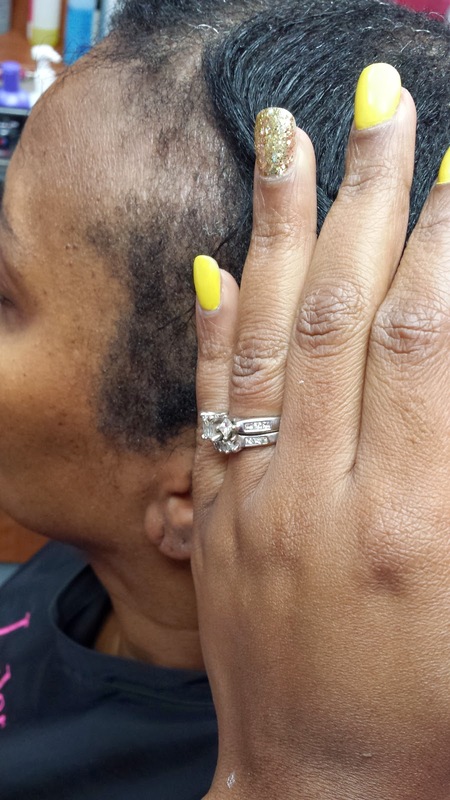 On her last visit I used the EdgeStick and take a look at her results. 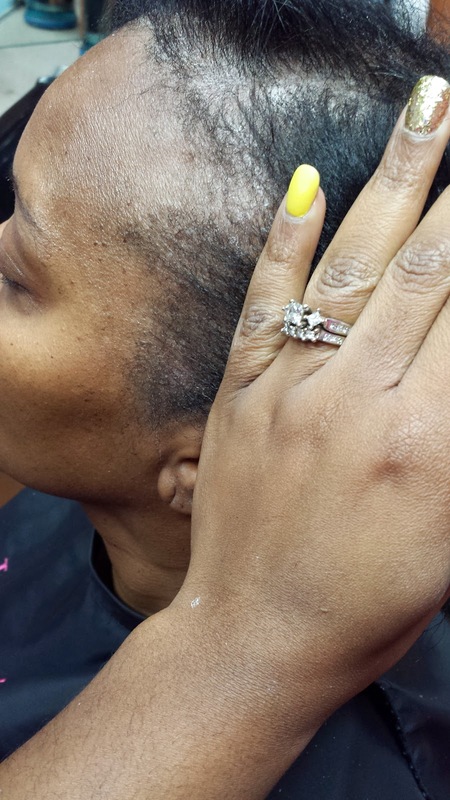 Her edges before. That product you see on the edges is curling wax. It helps the edges get straighter than nothing at all. I only use this on the edges, not the rest of the hair to avoid the hair being too heavy. This is with only one pass with the EdgeStick and the hair is already laying flat! The more passes you do, the straighter it will get but I am very mindful of how much heat I apply to the edges since they are the most fragile part of the hair, and in her case, the most damaged area. After that I put a tiny drop of edge control and voila! You now have the look of relaxed hair! She will wrap this nightly to maintain.